Autodesk® AutoCAD LT® software is the professional 2D drawing software for Windows and Mac. Time-limited license for 1 year. Autodesk® AutoCAD LT® drafting software helps value-conscious design professionals create precise 2D technical drawings. Create 2D drawings with the easy-to-use drafting tools, speed design with innovative tools built to maximize productivity, collaborate using connected desktop, cloud, and mobile AutoCAD solutions, and share your work with confidence using TrustedDWG™ technology. AutoCAD LT is the more economical version of AutoCAD with four times lower price. It is recommended for customers who use 2D drawing only and it allows you to draw and edit the draft without isometrics. AutoCAD is used for 3D drawing, with more drawing features, and AutoCAD LT is designed for users who have no need for 3D visualization, lighting or using the material model. 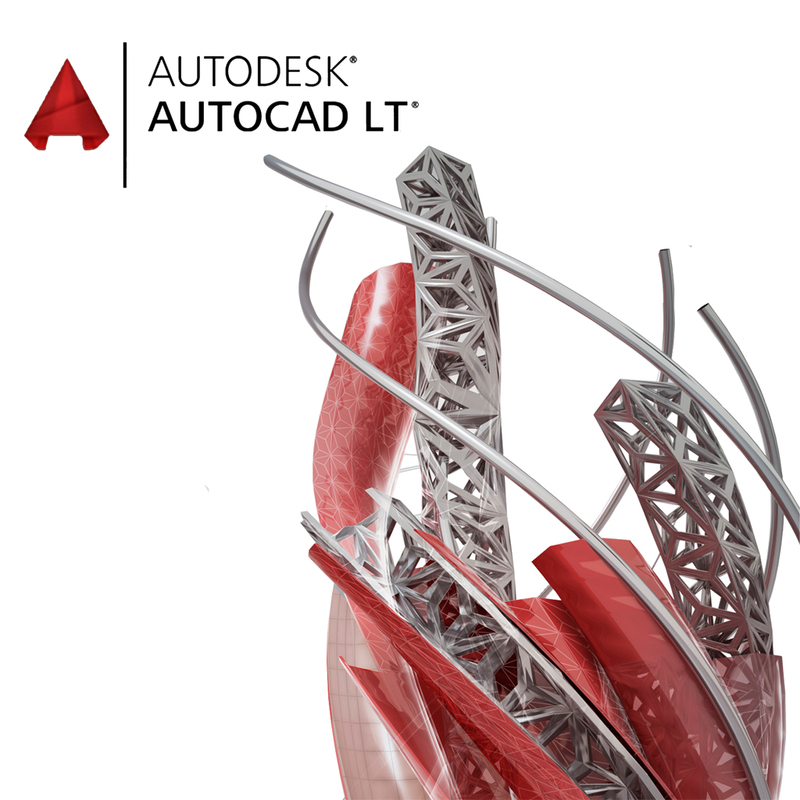 Enhanced support access is included with your AutoCAD LT subscription, at no extra charge. Protect design information-TrustedDWG™ technology preserves and protects the integrity of designs throughout the review process. Autodesk has announced AutoCAD and AutoCAD LT 32-Bit Discontinuation, only 64-bit versions will be available. Enhanced migration tools-migrating custom settings and files from previous releases has never been easier. Custom settings are detected, allowing user to choose which ones should be migrated. AutoCAD® LT® 3 year subscription enables usage of newest version of AutoCAD® LT® 2020 and three previous versions (AutoCAD® LT® 2019®, AutoCAD® LT® 2018® and AutoCAD® LT® 2017®) for 3 years.